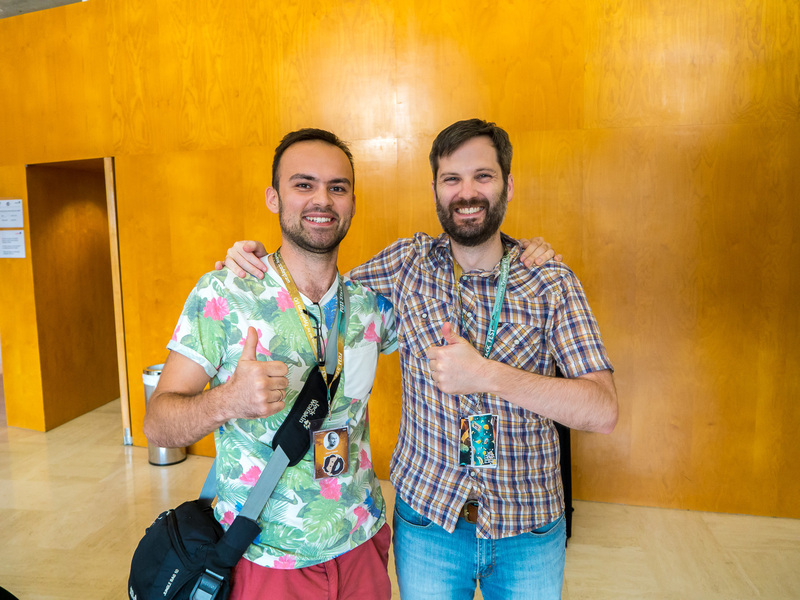 Between 1–5 of September, I had the golden opportunity to visit the Full Stack Fest conference in Barcelona. 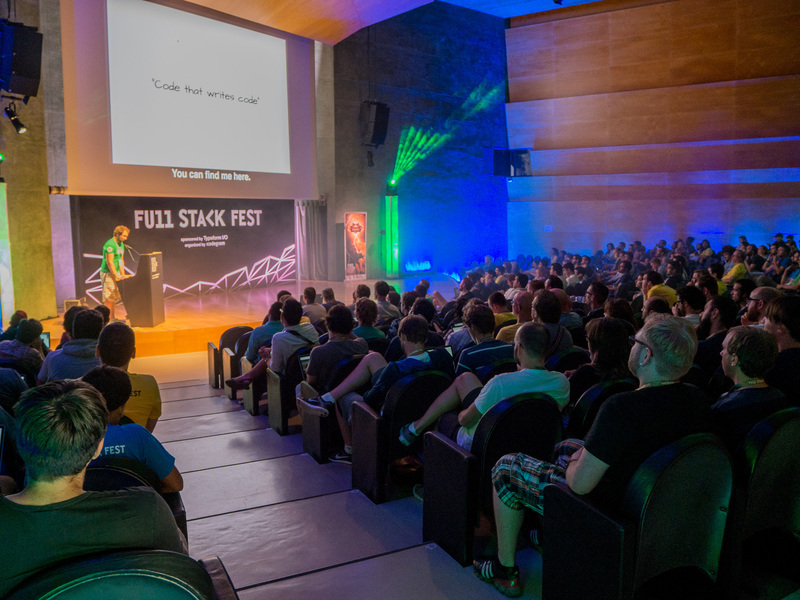 Previously this event had been known as BaRuCo, but as the organizers were also “responsible” for the FutureJS conference they decided to merge them. So, instead of two smaller events we ended up with one huge, 4 day-long extravaganza - the dream of every developer. It was my third time here in Barcelona for a Ruby-related conference. And as always - I had a great time here! You can grab a sneak peek of the conference official Twitter account to see some of the reactions to the event. 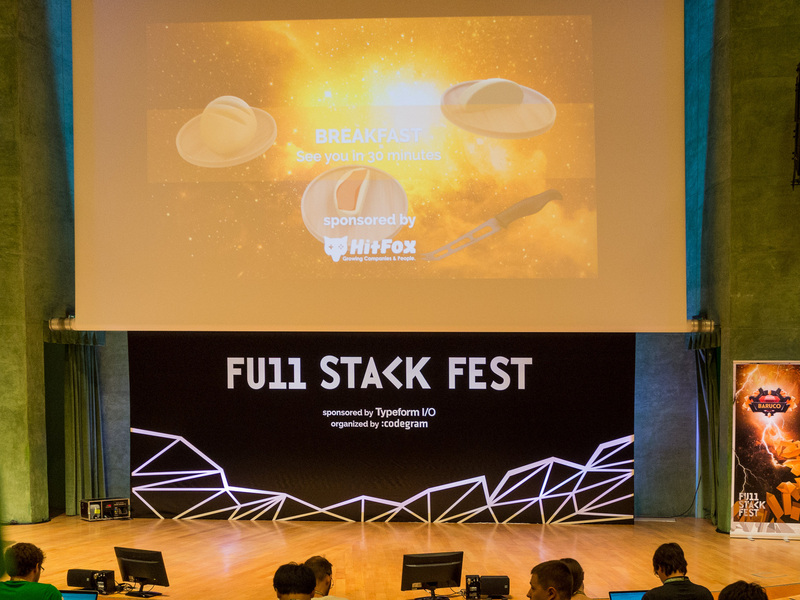 What was Full Stack Fest about? Well, the conference was mainly about Web Development: Ruby, front-end and other developer-related stuff which we deal with on a daily basis. So it was a good event to attend for almost all of us. Apart from the talks, they were also some workshops with a hackathon thrown in, so there was definitely loads to do. … the city - Barcelona - c’mon! how cool is that!? Matz, like the previous year, made the opening keynote for the conference. This time, he talked about Ruby 3.0 and future directions. Don’t get too excited, though - there are no hard deadlines or roadmaps (yet!) - the Ruby core team is looking into a ton of options for the future version of Ruby and thanks to their research they will be able to push our beloved language in a positive direction. Apart from the language itself, Matz talked a lot about Second System Syndrome (SSS) and how much we don’t want to have one of those when it comes to Ruby. He just pointed out that it’s very tempting to ditch everything and just try new things with a new major version, like 2.0 - it’s not that easy, and it affects most of the applications we built every day. If you think that Ruby development is going slowly, take a look at Perl6 example which after 15 years of development is anticipated to be released for Christmas of 2015. Or take a look at PHP6 which was supposed to replace PHP5 but… it didn’t event make it and there will be PHP7 version instead! Read more here if you want to dig deeper into this topic. Bryan told us a terrific story about how the development of modern applications should look. 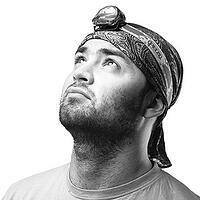 He works in DigitalOcean, so he knows his stuff when it comes to deploying and developing. Bryan walked us through the elements required by an application to make it effective to use, maintain and debug. Everyone should be able to run a deploy, in the sense that we don’t need strict “deploy guys” anymore. Everything begins with CI and other automated areas of development - thanks to these, we can deploy with confidence and deploy frequently. Bryan tried to explain why we should no longer treat our servers like pets - name them and care about them when they get sick. Instead, we must start looking at server infrastructure like cattle - brand them with a number and get rid of the sick to replace with some young and healthy specimens. Cruel, but necessary in the tech world. Bryan also mentioned a few other applications' elements like log management, collecting artifacts, monitoring and looking into the right data as part of telemetry, because then you may be able to predict any problems before they happen. The delivery of the presentation was cracking - I really enjoyed it and you should definitely check it out when it’s posted online! I just love Sandi’s talks! If you ever get the chance, just go and grab one of her talks from the web any way you can - you won’t regret it. Although the “Nothing is something” talk had already been presented earlier this year, it was a pleasure to see it live. The session was devoted to a few straightforward patterns - Sandi loves simplicity, and thanks to some great, easy-to-understand examples, her listeners could derive some immediate benefit from the talk. Her main point was the opinion that even if we have a null object somewhere in our logic - it could still mean something, and instead of building a special case around that, we could just embed it inside some object and use it with confidence (NullObject pattern). In another example, she proved that inheritance is for specialization and not for sharing code. This led to an explanation as to why Composition is good and how together with Dependency Injection those components fit perfectly into Object-Oriented design. You can enjoy her talk on Confreaks. Excellent delivery by Ernie! This was like one of the most interesting history lessons I’ve ever attended. But as it was a programming-related talk, slides of skyscrapers from around the United States were just a cover for general, technical tips and advice about programming principles. For me, it turned out to be a most unexpected talk - intriguing, well-executed and job-related! I can assure you that during the entire talk, the attendees were 100% focused on Ernie’s presentation and they enjoyed it a lot. A must-see! ...and last but not least - I have a sticker of Gorby Thunderhorse! I had the chance to meet and talk with Aaron Patterson - it was a tremendous pleasure and honour to meet a member of the Rails, Ruby and Rack core teams! I wanted to ask him so many questions about how one could become quite as awesome as he is, but as Aaron was jetlagged and I got quite nervous we just ended up talking about our cats and how Aaron struggles with stress as he is a shy person (WHAT?!). It turns out that when he goes out on stage and starts talking about the things he loves and is passionate about, then the nerves vanish and he feels at home. So just a little note for everyone - share your knowledge and talk about what thrills you - you will feel much better! 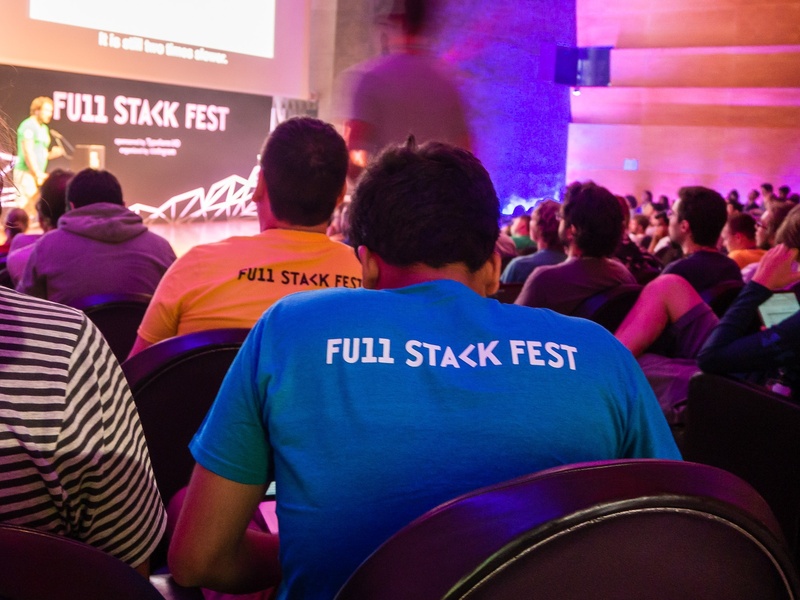 I really enjoyed those 2 days of Full Stack Fest and I really regret that I couldn’t go to the JS part. 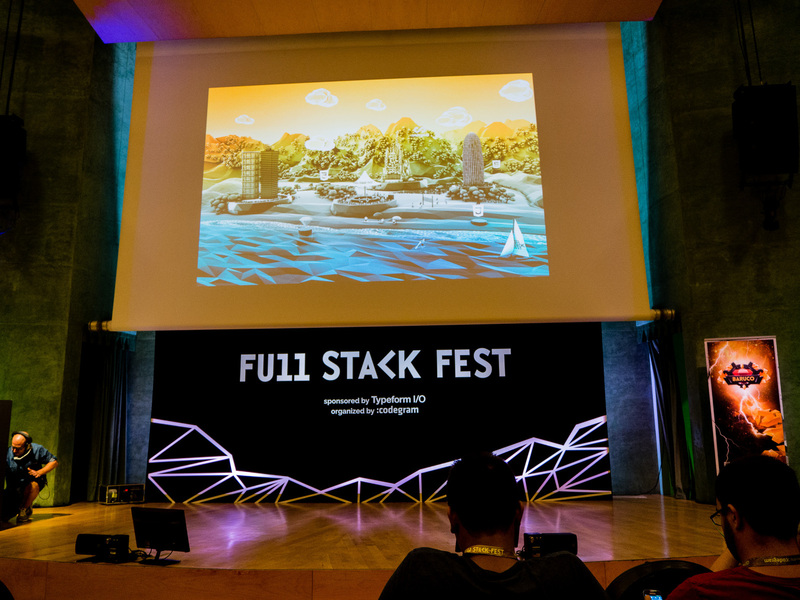 Just by looking at the twitter stream of #fullstackfest entries - I can tell you that other people definitely had a lot of fun hearing about the frontend and the technicals behind it. I hope there will be a further edition of the event next year and as soon as the tickets go live, I’ll be booking a date in my calendar - I recommend you do the same. Thanks to the speakers, organizers and all the attendees I had the chance to meet - it was great to see and talk to all of you! Catch you next year! Thank you for reading our event recap! If you'd like to read more blog posts like this and get handy development tips delivered monthly to your inbox, sign up for Ruby Brief and get your dose of cool content!